We Are All About Temperature Controlled Kettles. Also known as ‘Variable’ or ‘Programmable’ water kettles. A Temperature Controlled electric Kettle (TCK) stops the boiling process of water at the desired and pre-programmed temperature. You want the best variable kettle – but which one is right for you? Watch out for sales offers. There is a link below each price for a quick price check. 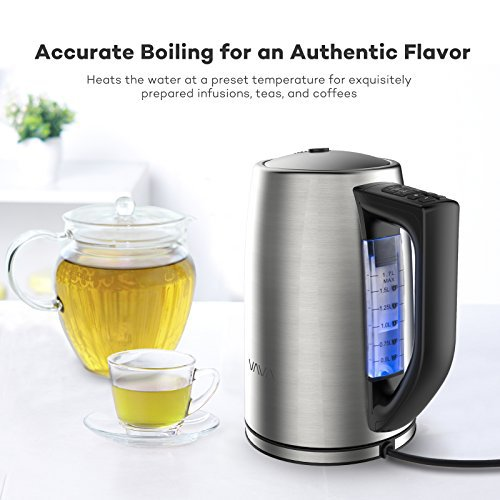 Most electric kettles with temperature control have a range of programmed settings for you to select, for example, 140°F/60°C, 170°F/77°C or 212°F/100°C. 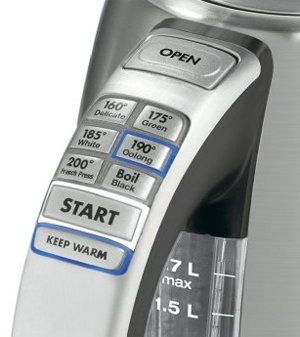 Other kettles (usually more expansive ones) allow you to set the desired temperatures at 1° or 10°F increments within a range. For brewing tea, the TCK should go at least as low as 160°F/71°C which is sufficient for brewing most teas. Better is 140°F/60°C to include sensible Japanese green teas like Gyokuru or Matcha as well. As a general advise you should only boil as much water as you need to preserve energy and keep your bills down. This became an issue when research suggested that certain plastic components pose a threat to human health. 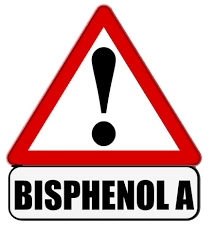 Especially BPA (Bisphenol A – for more info click here), used in many kettles, became the focus of scientific scrutiny. The high heat generated in kettles increases the risk of harmful plastics leaching into the water. BPA is banned in some countries (Canada, Japan), in other countries just for baby products. Other health authorities see no risk at all so it is up to everybody to decide for themselves. Except for the T-fal model, all our reviewed kettles are BPA free. The power consumption of electric devices is expressed in Watt (named after the Scottish inventor James Watt, more info here). 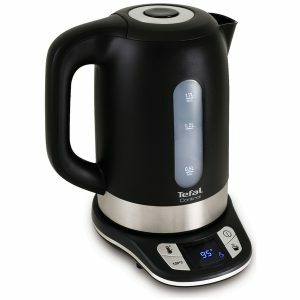 The wattage of your kettle determines how fast it can boil the water and how much energy it needs to do so. High wattage is good for quick boiling times but bad for your energy bill. Especially if you use the variable kettle extensively, the power consumption should be a consideration in your buying choice. Most reviewed devices lie between 1000-1500W. We included the rough boiling time for a full kettle in each review to give you an idea what to expect. In some cases, the manufacturer’s warranty might exceed the retailer’s warranty. This mean that you might have to send the kettle directly to the producer for repair or replacement (for example the Cuisinart kettle). Make sure to fill out the warranty registration to avail of the full service (cards are included in the package or registration can be done online). Most kettles have a plastic or a metal casing but there are also glass and ceramic models. Some come with a window to check the water level others with some LED lights. Again, it is up to your preferences or the lack thereof. Which kettle is best for you depends heavily on your budget, intended use and lifestyle preferences. Will get the best out of your quality, temperature-sensible products (baby food, coffee, tea, or other infusions for example). Saves you time. 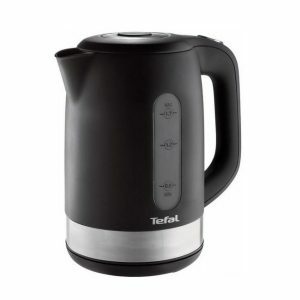 You don’t need to wait for a normal kettle to boil and cool down to the desired temperature. Will help you to save money on your energy bill. I know only the normal electric kettle, until I read about your Temperature Controlled Kettle. This product seem to be a better choice to brew good tea. Moreover, the boil dry protection is one feature which I have been searching for among those electric kettles I shortlisted. Good product review for potential buyer like me. Thank you for the comment. Not only will you make better tea, one of these kettles will also save you energy costs. I had no idea this was even a thing, buts it's a very cool thing. I suppose I shouldn't be surprised though because of the rate that technology has developed at There are probably thousands of inventions like this which I have probably never heard of. These kettles are quite handy though especially if you just need warm water and not boiling water like I do. I believe that as this market grows there will be even smarter kettles available with smarter electronics systems and possibly even voice commands for certain commands. What do you think Martin? Thanks Rinaldo, those smart kettles already exist. They come with an app and can be remotely controlled. In one of my next blogs, I will review one of them and find out if it is worth getting this toy. Everything seems to get smarter these days, except me.